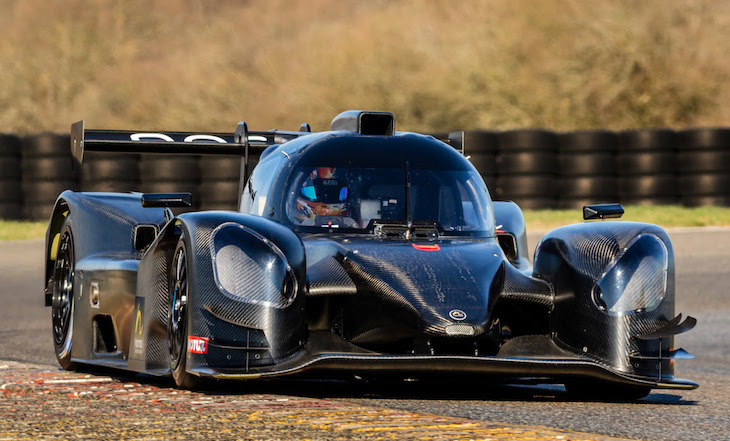 The brand new Norma M30 was on track last week at Pau and Nogaro, two circuits close to the Norma Auto Concept factory in the South of France. 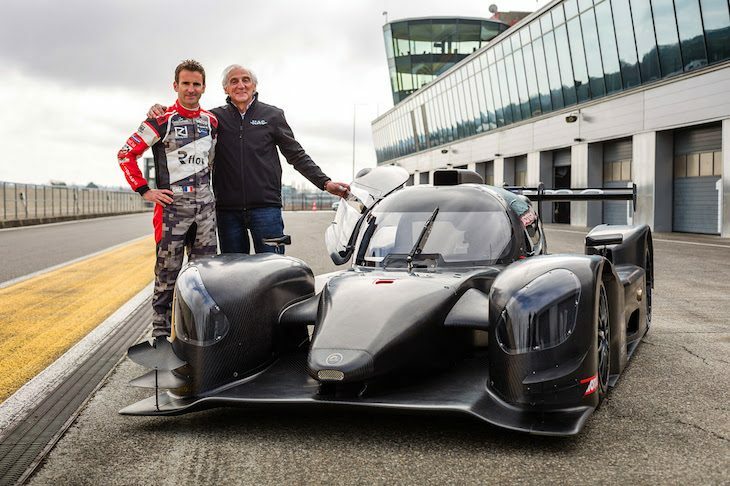 As announced, French Endurance World Champion and winner of the last 24 Hours of Le Mans with Porsche LMP1, Romain Dumas was the very first driver to take the wheel and he completed the very first tests of the Norma M30 LMP3. These ended up being very successful and clearly responding to the ambitious requirements of Norbert Santos (Norma Auto Concept Founder) and his team. Most of all I am proud of the full Norma team that worked so hard in the last months and also happy for our partners who are engaged in that great project from the beginning. You had said that the car was supposed to be finished at the end of 2016, but it came first on track last week. Why was it delayed? When you build a brand new car from scratch, you have to be precautionary and respect the objectives of quality you have set to start with. Ours were very important. Yes, we are a little late compared to our initial calendar, but we did respect our ambitious objectives… At Norma Auto Concept, we have always privileged quality, performance and safety to quantity of cars to be sold. 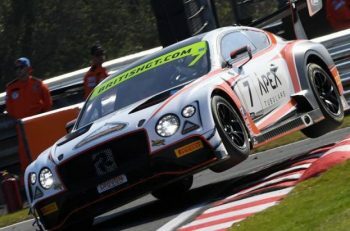 It’s true, we wanted to put the car on track earlier, but our will to reach the highest level of performance and reliability and to offer a car that rapidity suits the exigencies of the teams was stronger. Romain Dumas completed the first test sessions, and it clearly looks like we are on the right path to obtain competitiveness and consistency, thus matching our goals, in the very near future. To be honest, this situation is not very comfortable for sure, and we work hard to deliver the cars that have been ordered as soon as possible. It was very important for us to validate the results of our work on the car, before we would deliver any car to any team. This is now done, and we are entering a new challenge for the Norma team as well as for our suppliers and sub-contractors. On the other hand it is also a new challenge for the teams that have trusted us in the past months; they were present even if the car did not exist yet. We really respect their attention and their patience, as we know, this time of the year is stressful for them too. At the same time, we are now sure that the Norma M30 will respond to their expectations. One car is already in Florida, USA, to prepare the IMSA Championship. The other M30s will be delivered in the coming weeks; we have been paying attention to the different calendars of course. Be sure, we do our best! What are your production objectives for the coming months? As of today, we have more requirements than that what we can produce in the short term. Our priority is therefore to deliver the cars that have been ordered first, of course, for now we have more than ten cars to deliver before the end of April. Since the M30 was on track last week, we have confirmed a lot of orders, but we also had new requests. We will have to deal with this with a great attention, but at the same time since we announced the M30, we have built our production team to respond to this future demand. At the end of the day, our goal is to see the Norma M30 on the podiums in all the championships and on all the continents. Don’t forget we also built the Norma M20FC for the CN races, and our car has been the great reference in this category for quite a few years now. We are also very much involved in the building of this exceptionally competitive car, several tenths of which come out of our workshops every year. It will be exactly the same in 2017. What kind of team assistance have you set up for the LMP3 Norma M30? In 2017 we will be on each ELMS and VdeV races with our Norma structure. For the other championships we have organised our assistance with the teams involved in order to supply a quality service, to meet customer’s expectations in the best possible conditions. What is your main goal in 2017? I want the Norma M30 to be competitive and win races, to become a key player and the new LMP3 reference. What can you say after you tested the Norma M30? These tests were great and very positive, I can’t say any other way. The car’s reliability is just exemplary and impressive. We run without any stops in order to find possible youthful mistakes. In addition, even if I knew the full project and the ambitions of Norma, I was really impressed and surprised to see the high quality of finish of the car. I must admit again, that I was stunned! The car feels really great. The front-end of the M30 reminded me the one of the LMP2s a few years ago. It has a wonderful mechanical grip and we did not experience any traction issues, whether with new or old tires. You are an endurance world champion and you have won the Le Mans 24 Hours, this means that you have run the best endurance cars in the world. What is your feeling about being the first one to drive the brand new LMP3? Surely I am very very happy to have been able to discover Norbert’s car. He has said so much about it, and we have talked it over and over, that I feel very close to it too. The long awaited baby (laughs) is now here and I am sure the car will have the success it deserves. You know, when a newborn car is fast from the beginning, it means everything is in the right place to succeed. Soon the Norma M30 will meet its competitors. Do you think we will know quickly how it stands compared to the others? 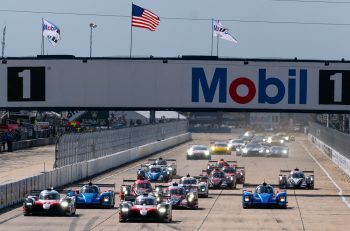 The Norma M30 LMP3’s first official race will take place in Sebring, Florida (USA) and soon after in Barcelona Spain in the VdeV championship.